I was very impressed with the ingredient list which has coconut oil, seasame oil and olive oil which is all very good for hair. This oil is free from silicones and mineral oil which is found in abundance in most hair oils these days. 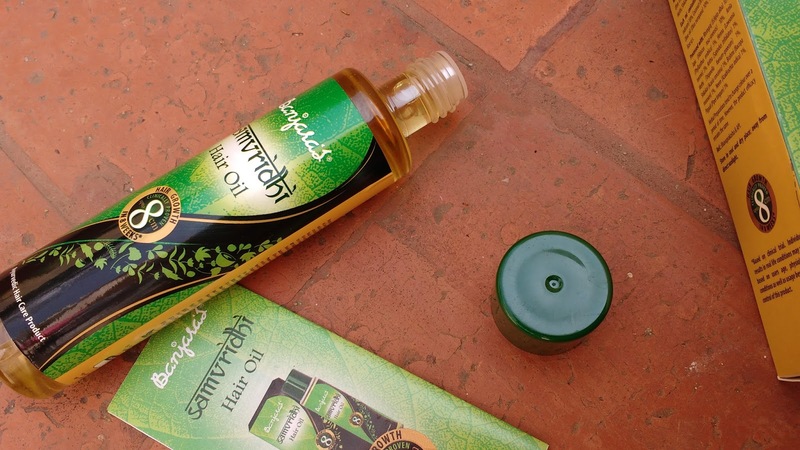 Fragrance: The hair oil from Banjaras has a very strong herbal smell which I dont really like but natural and ayurvedic products hardly ever smell good because they are free from chemicals. 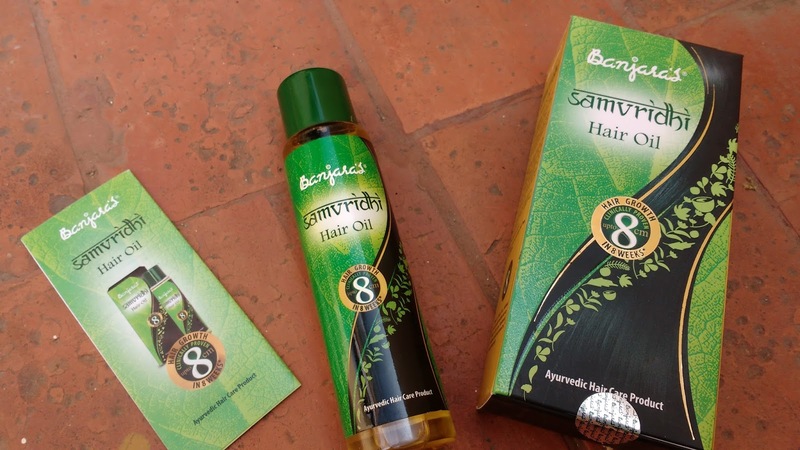 Texture: With heavy oils like seasame oil and coconut oil in its ingredient list I expected Banjaras hair oil to be sticky and thick. but I was pleasantly surprised as this hair oil is light with runny consistency and doesn't feel very greasy on my hair. Since it is light it also spreads easily in my hair. 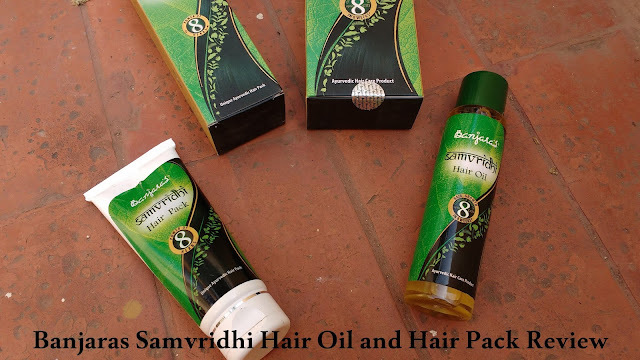 Packaging: Banjaras Samvridhi Hair Oil comes in a transparent cylindrical plastic bottle with a green screw cap.There is also an additional blocker on which you have to pin a hole to remove oil.  The product is housed in a green cardboard box with all necessary details printed on it. There is also a small pamphlet of sorts with detailed information about ingredients printed on it. Overall I would say the packaging is nothing fancy but it is definitely simple and travel friendly. 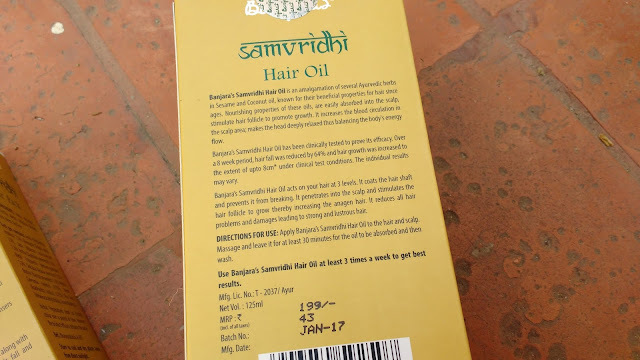 I oil my hair with Banjaras Samvridhi hair oil two times a week taking the required amount on my palm and massaging it into my hair scalp and ends for about 5 minutes. 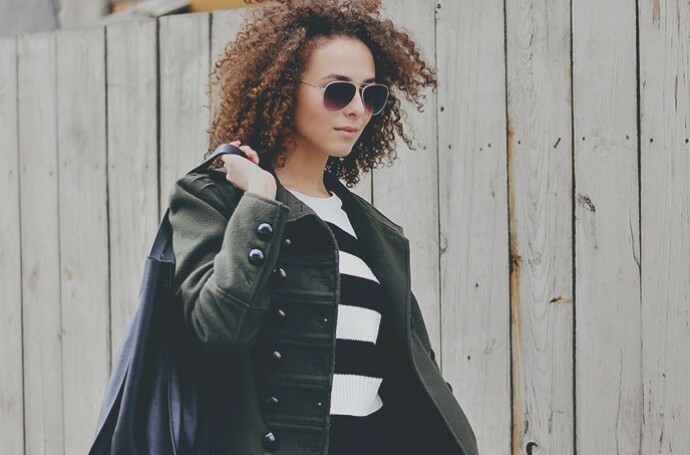 After massaging my hair I brush my hair lightly for oil to spread evenly and leave it for about 30-60 minutes before having a bath .When I have time on my hand, I leave the hair oil rest longer on my hair for like 6 hours or even overnight as I find it very relaxing helping me destress. After using Banjaras Hair oil I can say it promotes hair growth and controls hairfall too but the 8 cm in 8 weeks claim is taking it a bit too far. It does make my hair soft, manageable and adds a nice shine to my tresses. 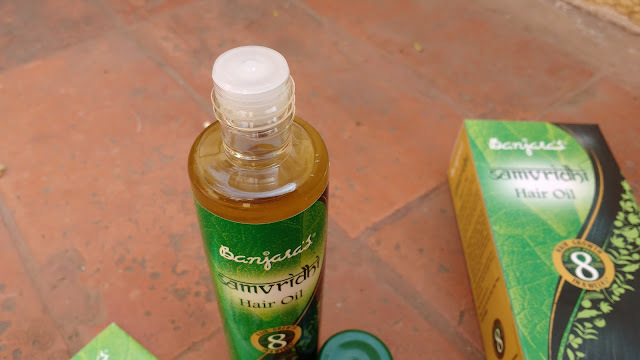 Being light this hair oil also gets washed off easily and since it is a mixture of hair oils it doesnt freeze when weather gets cold like coconut oil which makes this hair oil perfect addition to my winter hair care. 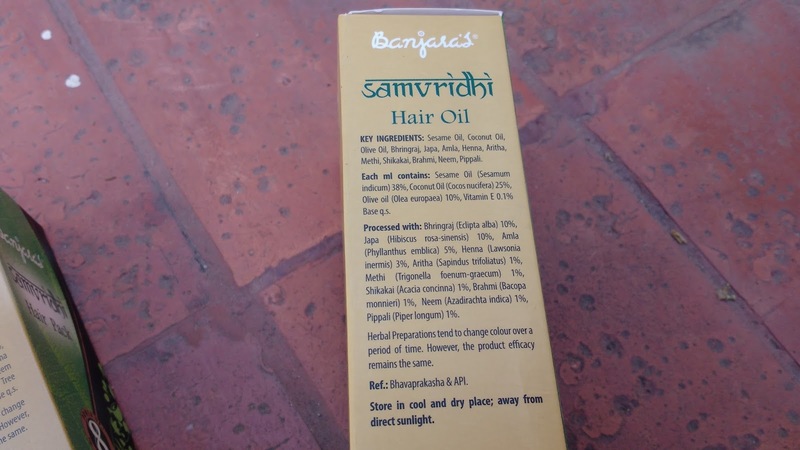 Overall #BanjarasSamvridhiHairOil is a lovely chemical free hair oil with good combination of ayurvedic herbs and oils. If you are looking for a natural light weight, non greasy hair oil to promote hair growth then do give this oil from Banjaras a try. 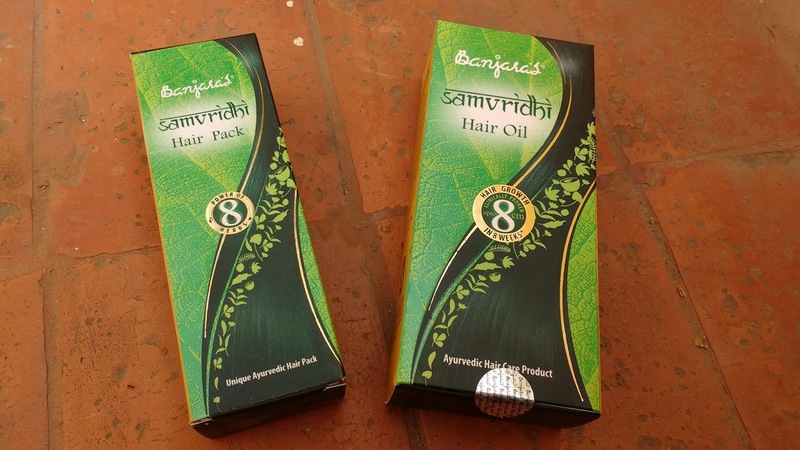 Banjaras also has a hair pack in their samvridhi range. 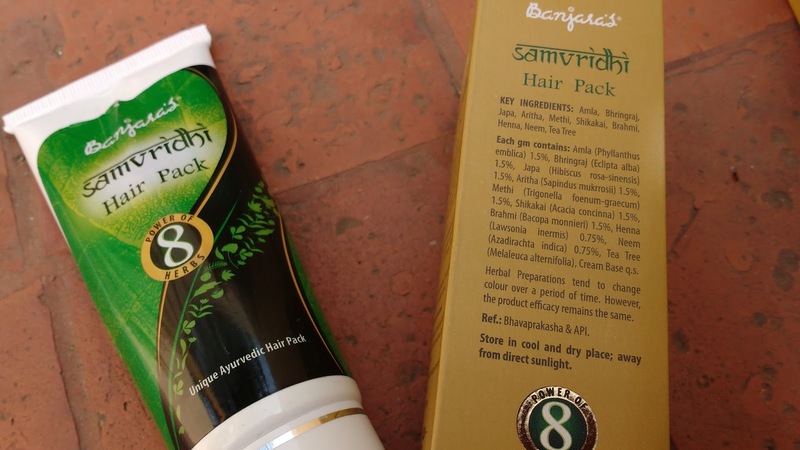 This ready to use hair pack from Banjaras comes in a flip cap tube packaging which makes it simple and easy to use and travel around with. 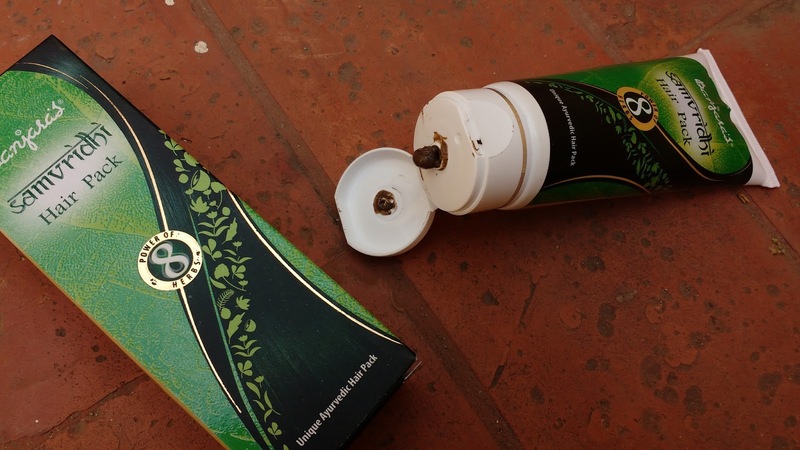 The product itself is thick grainy dark green-black paste which has a pleasant herbal smell. I directly take the paste out on my hand and apply it on my hair 15 minutes before bath. this hair packs gets washed easily without much effort and lathers mildly so I dont feel the need to use a separate cleanser for hair. After hair wash my hair has a nice lingering henna scent and I get smooth, manageable hair. I was afraid to use this hair pack because it has henna in it and I did not want my hair to get any sort of colour. But after using this my hair looked shiny black and there was no sign of colour or frizz on my hair and this effect lasts for about 3 days. Overall the ease of application of this hair pack has me impressed and the results are also fabulous for the price paid. 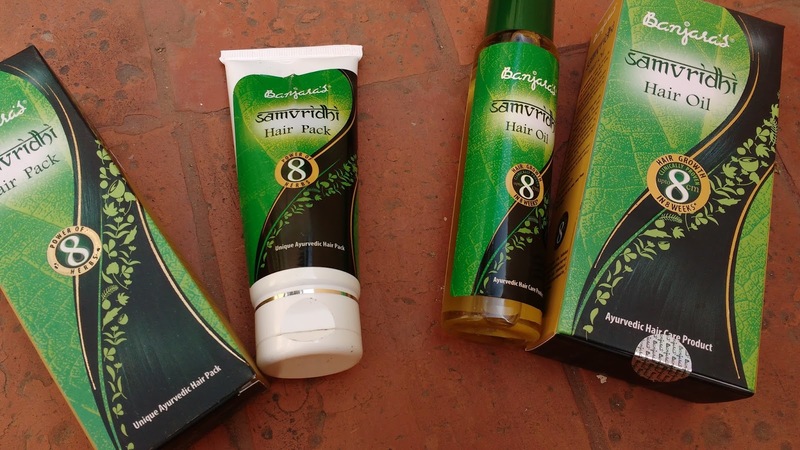 Which hair care product do you use in winters? Even I loved Banjaras Samvridhi Hair Pack,.. My hair smells very nice,..